(2012/Cherry Red) 23 tracks. David Houston war einer der besten und bekanntesten Künstler innerhalb der Country Musik-Szene. Zwischen 1963 und 1989 veröffentlichte er stolze 61 Hit-Singles. Er gewann mehrere Grammys und stand mit seiner Single 'Almost Persuaded' ganze neun Wochen lang an der Spitze der Billboard Country Charts (1966). 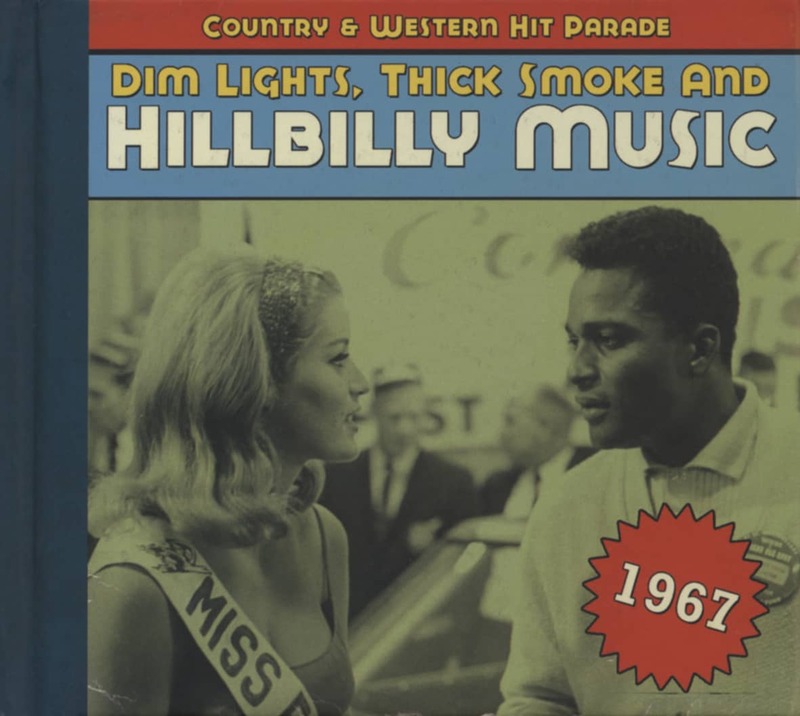 Die vorliegende CD 'My Elusive Dreams - Epic Country Hits 1963-1974' enthält alle seiner sieben #1-Hits sowie Duette mit Tammy Wynette und Barbara Mandre. Das Booklet beinhaltet informative Liner Notes. To hear Billy Sherrill, this was one of the songs he wrote immediately before or during the session. "I write out of panic," he said. "When I have an artist and a session and an acre of violins. I think 'My Elusive Dreams' took ten minutes." But it wasn't that simple. Curly Putman (whose biggest hit to that point was Green, Green Grass Of Home) wrote the song about his personal odyssey. Starting as a steel guitarist in Huntsville, Alabama, he'd gotten married and become a shoe salesman in Madison, Tennessee. "Then they made me assistant manager of a shoe store in Memphis," Putman said later, "and that moving from one place to another inspired me to write 'My Elusive Dreams.' But I got tired of the shoe business and went back to Huntsville. We moved to Chicago, but I didn't like it there too well, so I moved back to Alabama, working in the sawmill with my dad and going to trade school in Decatur. I tried to learn piano tuning…anything to stick to music in some way." Established in Nashville, Putman played My Elusive Dreams for Tammy Wynette soon after he'd written it. Sherrill helped with some of the lines, but Tammy didn't like it. "You know," she told him, "that would be good for Peter, Paul & Mary." And so, on March 23, 1967, Putman recorded it himself for ABC-Paramount. Even before it was issued, Johnny Darrell recorded it, and his version was the first to hit the charts, but by then Sherrill had already persuaded his two biggest stars to record it, and their version was rushed out within days. Tammy, who'd pursued her own elusive dreams across the southeastern quadrant of the United States, squeezed every drop of pathos from the words. It became her first #1 hit and Houston's third. In 1970, when Sherrill was producing Bobby Vinton, he pitched My Elusive Dreams and Vinton took it to #27 on the country charts and #46 on the pop charts. In 1975, when Sherrill was producing Charlie Rich, he pitched My Elusive Dreams yet again, and it returned to the country charts, this time at #3, and the pop charts at #49. In between, Nancy Sinatra and Lee Hazlewood recorded it, but perhaps the best cover version of all was by Moses & Joshua Dillard, whose roaring Sam & Dave-style revival transfigured the song. Blessed with an extraordinary tenor that soared to the heavens and often drifted into spine-chilling falsetto, David Houston roared out of Bossier City, Louisiana (where he was born on December 9, 1935) with an impressive background: his godfather was 1920s pop singing star Gene Austin, who encouraged the lad with sage advice. Houston grew up in Minden, La. and later became a regular on the ‘Louisiana Hayride,’ which broadcast over Shreveport’s KWKH. In February of 1955, he cut his debut single for Imperial, an idiosyncratic rendition of the pop melody Blue Prelude. Exhibiting stellar taste in covers, Houston launched into a dynamic reading of Muddy Waters’ Chicago blues stormer Sugar Sweet upon arriving at RCA on June 21, 1956. David must have had faith in the haunting Gordon Jenkins theme Blue Prelude—he waxed it again for Victor at the same New York date. Situated on the other side of that single was Houston’s dramatic reading of Wayne Walker’s I’ll Always Have It On My Mind, complete with an extended solo opening, a taste of startling falsetto here and there including on the fadeout, and a truly sparkling guitar solo halfway in. 1957 brought a rocking two-sider in the swaggering One And Only b/w Hackin’ Around and then a bluesy The Teenage Frankie And Johnnie, which David mimed in much wilder fashion in the B-movie ‘Carnival Rock’ with a very young James Burton on lead guitar as Bob Luman’s band, The Shadows, backed him. Three late ‘50s 45s on Bill Lowery’s NRC label and a solitary 1963 outing on Phillips International (the wild Miss Brown) preceded Houston’s country breakthrough Mountain Of Love (not the Harold Dorman/Johnny Rivers hit), which just missed pacing the C&W charts in late ’63 after he signed with Epic Records. Under the supervision of producer Billy Sherrill, David became a full-fledged country star at Epic, scoring a 1965 smash with the hard-charging Sherrill/Glenn Sutton copyright Livin’ In A House Of Love and pacing the C&W hit parade the next year with another classic written by the same duo--his Grammy-winning barroom weeper Almost Persuaded. 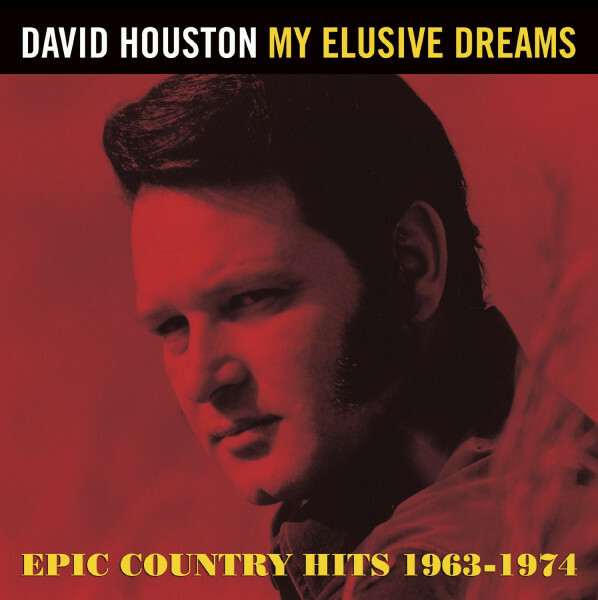 Houston posted three more number ones in 1967 alone (including a duet with Tammy Wynette, My Elusive Dreams), two more the next year, and another in ’69. Tammy wasn’t his only notable duet partner; David scored several hits in tandem with Epic labelmate Barbara Mandrell as well. Houston was a reliable hitmaker for Epic into 1976 before he moved to Gusto/Starday, Colonial, and Elektra. Ill health reportedly dogged him in his later years, and on November 30, 1993, a brain aneurysm killed Houston in Bossier City. Rockabilly could cite few purer voices within its massive ranks. Kundenbewertungen für "My Elusive Dreams"